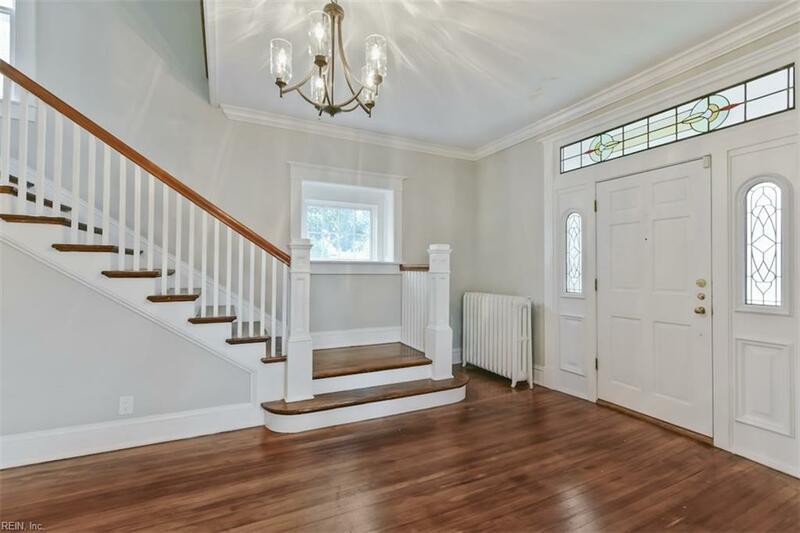 1145 Jamestown Cres, Norfolk, VA 23508 (#10238396) :: Abbitt Realty Co. This home is perfect inside and out, merging the best of past and present!! 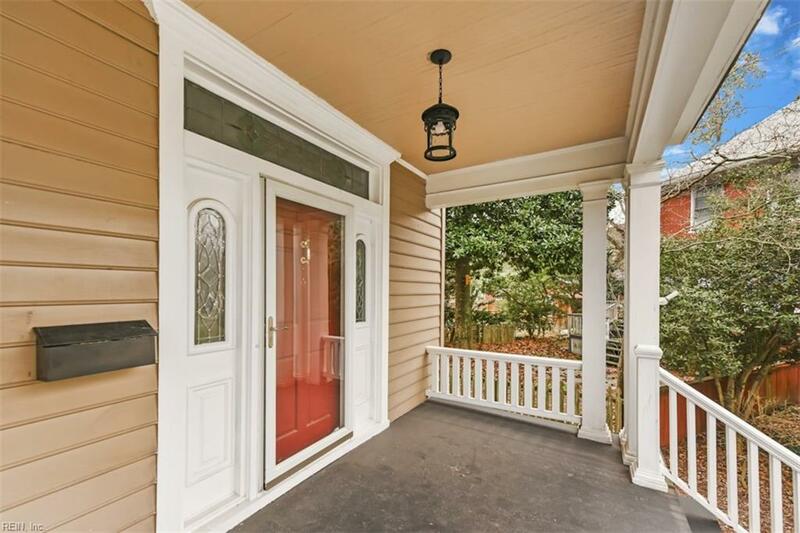 As you walk up to the front door, that is adorned by both stained and beveled glass, you know you are home. 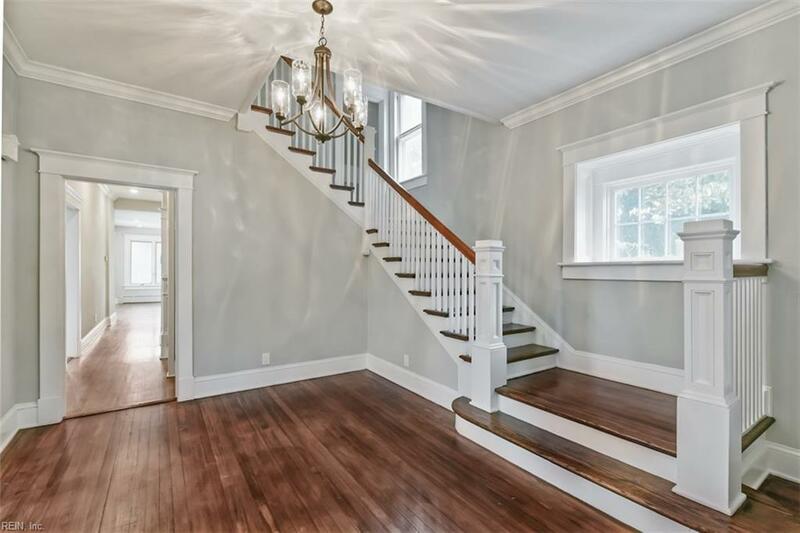 The large elegant foyer is inviting with a beautiful view of the home from every direction. The ceiling to floor stacked stone fireplace truly takes your breath away as does the impressively grand staircase. 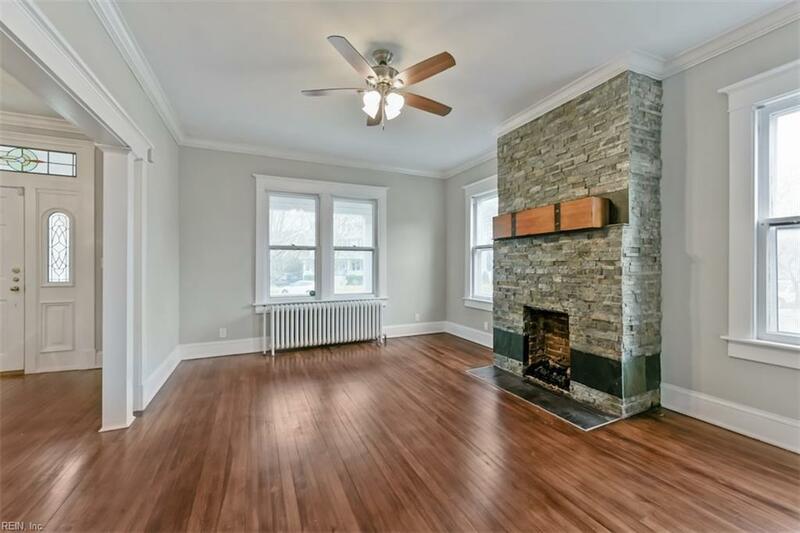 No expense has been spared and no detail has been overlooked, including extra wide crown molding throughout. As you enter the gourmet kitchen you will be taken aback by the white ceiling to floor cabinets, the rich quartz countertops accented by subway tiles and a kitchen island with wine cooler. Of course, all appliances are top of the line stainless steel with every amenity you can imagine. The sumptuous master suite includes a gorgeous bathroom and lots of wonderful cedar lined closet space. The charming backyard boasts a huge wooden railed deck perfect for entertaining. Welcome home!! !